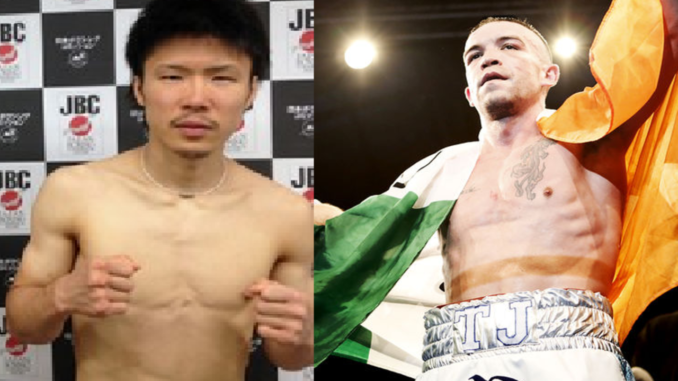 World title challenger Ryohei Takahashi 16-3-1 (6) is bullish about his chances ahead of his IBF super bantamweight title tilt against champion TJ ‘The Power’ Doheny 20-0 (14) at New York’s famed Madison Square Garden this Friday night. The 28-year-old Japanese boxer, who is ranked number 10 by the IBF at 122-pounds, was a late call-up to face Australian-based Irishman Doheny who is making the first defence of the strap he won against Ryosuke Iwasa at Korakuen Hall in Tokyo, Japan last August. The fight will take place on the undercard of WBO middleweight champion Demetrius Andrade’s world title defence against Artur Akavov. Despite the late notice, Takahashi’s promoter Ichitaro Ishii revealed Team Doheny had been in contact about a potential fight as early as the start of December. With a potential world title fight in the offing Takahashi has stayed in the gym over the Christmas and New Year period, training alongside WBO super featherweight champion Masayuki Ito. “My physical condition is great and I am ready and willing to drop a surprise bomb in the ring in New York and produce a great triumph,” Takahashi said. Takahashi and Doheny have a common opponent in formerly world-rated Thai veteran Mike Tawatchi, alias Pipat Chaiporn, who both defeated on points over 12-rounds. The fight against Doheny, 32, will be the fourth time Takahashi has faced southpaw. The Yokohama boxer is 2-0-1 against lefthanders.